Speaking on the theme, “Online journalism and Media integrity in Nigeria,” Agboke declared that some politicians, whose identities he did not disclose, approached the commission to buy PVCs to rig the elections. 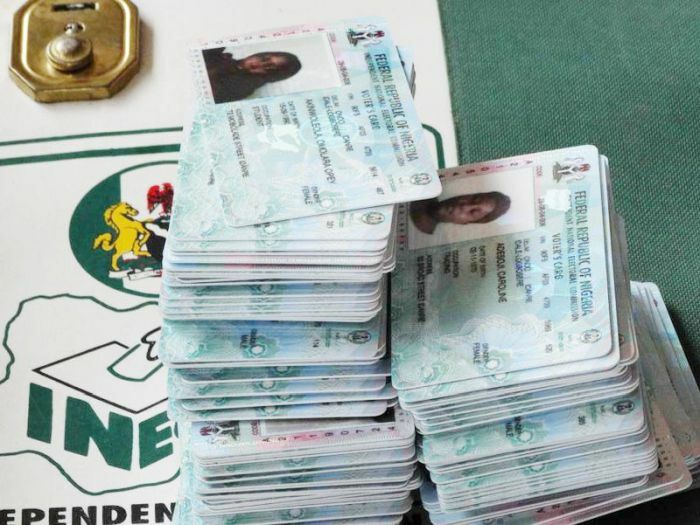 The REC assured residents of the state of smooth elections devoid of crisis in 2019, stressing that no worker of the commission would sell PVCs to any politician ahead of the 2019 elections. “Tell those who are looking for PVCs to buy that there is none to buy in Oyo State. I can assure you that no INEC employee will sell PVCs to any politician. I can assure you that the process will be free and fair in Oyo State. “Those who are looking for PVCs to buy, I won’t give you their names. I don’t have their names. He urged journalists to abide by the ethics of the profession at all times. The South-West Bureau Chief of The Nation and an Associate Editor of the Nigerian Tribune newspapers, Mr Bisi Oladele, and Mr Wale Ojo-Lanre respectively, urged journalists to always abide by the rules and regulations guiding the profession in their day-to-day reportage. INEC also on Thursday ruled out the postponement of the 2019 general elections because of the dispute between the Federal Government and members of the Academic Staff Union of Universities. The commission, however, said it had scheduled a consultative meeting involving its Chairman, Prof Mahmood Yakubu, its national commissioners and ASUU leadership on January 4. In an interview with The PUNCH in Abuja, INEC National Commissioner and Chairman of its Information Voter Education Committee, Festus Okoye, said the meeting would focus on the role and involvement of ASUU members in the 2019 general elections. “The same thing applies to the leadership of the other unions in the different federal tertiary institutions that are on strike or are threatening to go on strike,” Okoye added. Other alternatives, he said, included exploring the possibility of using federal employees and students of state tertiary institutions to make up for any shortfall. Okoye said, “The chairman and national commissioners of INEC will on January 4, 2019 hold a consultative meeting with the leadership of ASUU. The meeting will focus principally on the issue of the role and involvement of their members in the 2019 general elections. “The meeting will also explore the possibility of ensuring that the students would be on campus during the elections. The commission is confident that there will be a breakthrough during the meeting. The commission is not involved in the negotiation between ASUU and the Federal Government and may not stray into that area. “The involvement of the commission is limited to harvesting the rich academic resources in the various federal tertiary institutions for the 2019 elections. The commission has relied on and will continue to rely on staff and students of federal tertiary institutions for its ad hoc staff requirements. “Elections and conduct require some level of intellectual acumen. It is not an all-comers affair. The lecturers and students are clustered in an institution and they can be reached in cases of electoral malfeasance and election petitions. They have a better understanding of the electoral process. “Some of the vice-chancellors and lecturers have experience as some of them have acted as returning officers and collation officers before. Some of the students of federal tertiary institutions in Anambra, Ondo, Ekiti, Osun, Edo and other places where the commission conducted off-season elections already have a store of knowledge and experience and only need refresher courses on new and creative innovations introduced by the commission. When asked what INEC would do if ASUU failed to call off its strike, he said, “The commission is confident that there will be a breakthrough or middle ground that will enable the students and the lecturers to contribute their quota during the 2019 elections. Okoye also explained that the commission would not postpone the 2019 general elections. Okoye said, “The commission has been updating the database of former corps members. Some of the corps members served as presiding officers in previous elections. Some of them are still unemployed and will readily be mobilised. The commission may also use its online platform to mobilise the students wherever they are and train them in the states where they are.